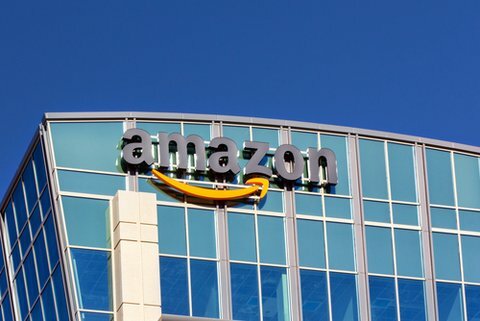 In a daring move that has an excellent chance of paying off, Amazon.com Inc. (Nasdaq: AMZN) is expected to introduce its own smartphone at a special media event tomorrow (Wednesday). While Seattle, Wash.-based Amazon.com has been coy about the details, the clues add up to a smartphone with some sort of special capability – almost certainly a glasses-free 3D display. As with AMZN's other hardware, the Kindle Fire tablet as well as the more recent Fire TV, the goal is not to sell products with fat margins or even to dominate market share, but to create devices that integrate with Amazon's retail side. And on that score, an Amazon phone (the Fire Phone?) could pull together an assortment of company initiatives while also serving as a defensive strategy against moves by Apple Inc. (Nasdaq: AAPL) and Google Inc. (Nasdaq: GOOG, GOOGL) to penetrate the retail space. Yet some have already started criticizing the move before it's even been announced because they don't think an Amazon 3D smartphone will be able to get any more traction than attempts by other big tech companies. Google's Nexus has struggled, Facebook Inc.'s (Nasdaq: FB) phone flopped – and then there's Microsoft Corp.'s (Nasdaq: MSFT) decade-long legacy of failures. For one thing, AMZN has already proven it can succeed in a crowded hardware market with the Kindle Fire, which likewise was met with skepticism. Introduced in late 2011, the Kindle Fire has managed to capture between 7% to 8% of the Android tablet market and has helped boost Amazon's digital media sales. The Fire has succeeded not just because it's easier to use with Amazon's services, however, but because it has been priced very aggressively from the get-go. Amazon is even willing to lose money on each unit in exchange for direct mobile access to more customers. Some have suggested Amazon will give away its phone with membership in Amazon Prime, a genius move that would be an absolute nightmare for all the low-cost Android handset makers. Just last week AMZN added a streaming music service to Prime. Pairing a smartphone with the offer would be awfully enticing. But even if it doesn't include the phone with Prime, you know Amazon will be extremely aggressive in its pricing, even with all that fancy 3D wizardry.